Public Policy Polling published its Conspiracy Theory Poll Results on April 2, 2013 http://bit.ly/1tyyXrR. They found that “28% of voters believe [a] secretive power elite with a globalist agenda is conspiring to eventually rule the world through an authoritarian world government, or New World Order. 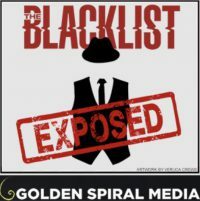 A plurality of Romney voters (38%) believe in the New World Order compared to 35% who don’t.” Looks like The Blacklist has plenty of room for its fanbase to grow!